Change "public servitude" to "consumerism" and this exemplifies for many what democracies have become? Not only from a historical perspective do I introduce this material, but to indicate, that I along with many, have become disillusioned with the current politicization structures. A desire then, for a more "introspective look" would then be accorded in a search for the political ideal. It was done for an "economic ideal," so it must be mustered in the same vain as the Economic Manhattan project where scientists had gathered for perspective. A desire then for a "21st Century View" toward a "just society." See: Search function for concept here. A search function listed by percentage of importance was then done in respect of Plato's commentary to be revealed in the Dialogues to offer perspective. Ath. I will do as you suggest. There is a tradition of the happy life of mankind in days when all things were spontaneous and abundant. And of this the reason is said to have been as follows: - Cronos knew what we ourselves were declaring, that no human nature invested with supreme power is able to order human affairs and not overflow with insolence and wrong. Which reflection led him to appoint not men but demigods, who are of a higher and more divine race, to be the kings and rulers of our cities; he did as we do with flocks of sheep and other tame animals. For we do not appoint oxen to be the lords of oxen, or goats of goats; but we ourselves are a superior race, and rule over them. In like manner God, in his love of mankind, placed over us the demons, who are a superior race, and they with great case and pleasure to themselves, and no less to us, taking care us and giving us peace and reverence and order and justice never failing, made the tribes of men happy and united. And this tradition, which is true, declares that cities of which some mortal man and not God is the ruler, have no escape from evils and toils. Still we must do all that we can to imitate the life which is said to have existed in the days of Cronos, and, as far as the principle of immortality dwells in us, to that we must hearken, both in private and public life, and regulate our cities and houses according to law, meaning by the very term "law," the distribution of mind. But if either a single person or an oligarchy or a democracy has a soul eager after pleasures and desires - wanting to be filled with them, yet retaining none of them, and perpetually afflicted with an endless and insatiable disorder; and this evil spirit, having first trampled the laws under foot, becomes the master either of a state or of an individual - then, as I was saying, salvation is hopeless. And now, Cleinias, we have to consider whether you will or will not accept this tale of mine. Ath. You are aware - are you not? - that there are of said to be as many forms of laws as there are of governments, and of the latter we have already mentioned all those which are commonly recognized. Now you must regard this as a matter of first - rate importance. For what is to be the standard of just and unjust, is once more the point at issue. Men say that the law ought not to regard either military virtue, or virtue in general, but only the interests and power and preservation of the established form of government; this is thought by them to be the best way of expressing the natural definition of justice. Ath. Justice is said by them to be the interest of the stronger. The ruin of oligarchy is the ruin of democracy; the same disease magnified and intensified by liberty overmasters democracy —the truth being that the excessive increase of anything often causes a reaction in the opposite direction; and this is the case not only in the seasons and in vegetable and animal life, but above all in forms of government. The excess of liberty, whether in states or individuals, seems only to pass into excess of slavery. And so tyranny naturally arises out of democracy, and the most aggravated form of tyranny and slavery out of the most extreme form of liberty? How Do You Stop a Oligarchy? Was introduced from a "consumerism point of view." It was directed toward the idea of governments who "gather money" to operate "their ideal structures of government" while depleting the resources of the "private citizen for that government operation." Tax grabs to support that positions? I am trying to orientate myself amidst these political terrain and would like nothing better then to be set straight to remove wrong thinking directed toward finding a "just government?" How do you define a "just government?" Searching for the "Ideal Government for the 21st Century?" Can we recognize the decay in the processes of democratization? It is when we are left with this "feeling of the electorate" to see that they have lost control of the government, that one senses this alienation from the process of democracy. Recognizes "agendas that are being played out," that were not part of the party stance with which they promised to govern before an election. So what recourse then to see that the processes of legitimacy are recognized and drawn out, that it will become part of the rule of law and implemented, that there was really nothing that could have been done, citing petitions and initiatives toward recall. Not so much now is there, as to what party and their allegiance, but to the recognition of democracy in decay that we all can now recognize. The people feel disenfranchised. And it is disenfranchised. But the parliament) is directly legitimized by the electorate (at country level, the provincial assemblies. All other constitutional bodies, President and Chancellor (in progress), derive their legitimacy from it. Shift the political choices but from the circles of power in parliament and coalition rounds, who knows the Constitution does not, therefore, is sidelined by the Bundestag and abused only later to formally rubber-stamp, is a de facto policy demokratiefrei. Sure I may point to "another country" to demonstrate the social construct of the democracy in question, but it is "not far" from what we can identify within our own, that we see the signs of the time? Here is the site language that will help blog developers with their latex language and give them an alternative from having to shift over to word press. Jeffery did not understand the quality being exposed through the Dialogue to be accurate in his description used by identifying Plato's(what's in a name) Academy to critic against. 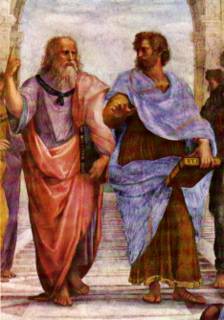 For the names used were to coordinate perspective exchange to reveal the conclusion Plato wanted set forth? Clearly, things that are raised in discussion highlight further response and the extensions of ideas as they are presented will become manifest. I was historically touched by the the subject of Being and Names to have this discussion highlighted by my own opinion as it is expressed in terms of what Anonymity means to me and what the subject of the story presents of itself. What then shall we always remember? Awards of distinction according to others by name, or by what we take into ourselves? One can gain a sense of anonymity not by name but by the quality of truth in the words chosen. These reflect the essence of, and do become recognizable, not by name again, but by that quality of character. Is this quality of character that one sees, destined to come into this world by that some trait to recognizable by a name "only solidifies the world experience," but doe sit really reveal the essence of the person? What ways can one imagine that such essence is descriptive again to have it mentioned as something that appears distinct from another person, who currently stands beside and reacts to a situation, unique and rightfully different then another does. To reveal, that essence is by quality hidden as essence in this nature of character, was designed by it's entrance into the world. SOC. But if this is a battle of names, some of them asserting that they are like the truth, others contending that they are, how or by what criterion are we to decide between them? For there are no other names to which appeal can be made, but obviously recourse must be had to another standard which, without employing names, will make clear which of the two are right; and this must be a standard which shows the truth of things. Soc. But if that is true, Cratylus, then I suppose that things may be known without names? Soc. But how would you expect to know them? What other way can there be of knowing them, except the true and natural way, through their affinities, when they are akin to each other, and through themselves? For that which is other and different from them must signify something other and different from them. Crat. What you are saying is, I think, true. Soc. Well, but reflect; have we not several times acknowledged that names rightly given are the likenesses and images of the things which they name? Soc. Let us suppose that to any extent you please you can learn things through the medium of names, and suppose also that you can learn them from the things themselves- which is likely to be the nobler and clearer way to learn of the image, whether the image and the truth of which the image is the expression have been rightly conceived, or to learn of the truth whether the truth and the image of it have been duly executed? Crat. I should say that we must learn of the truth. Soc. How real existence is to be studied or discovered is, I suspect, beyond you and me. But we may admit so much, that the knowledge of things is not to be derived from names. No; they must be studied and investigated in themselves. Raphael's Dissertation on Age and Youth? 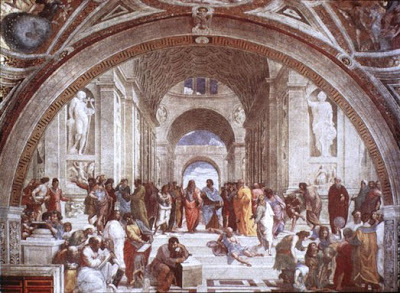 In a reflective occasion drawn to the center of the picture of Raphael, I am struck by the distinction of "age and youth" as I look at Plato and Aristotle. Of what has yet to descend into the minds of innovative and genuine science thinkers to know that the old man/woman works in concert with the science of youth, and this is something yet has still to unfold. 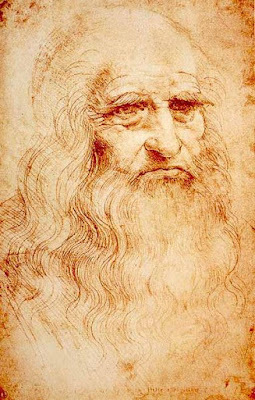 Why, when it is understood that Leonardo Da Vinci's face is emblazoned on the likes of Plato by Raphael? It's to call attention to Leonardo's inventiveness that one might speculate as to what "descends into any mind" that has been prep by and stands in concert, side by side with Aristotle of science? The ole wo/man represent all the possibilities of ingenuity as one moves to place their question. When it sinks deep into the vast reservoir of quantum descriptive world" it will then make sense that all things follow what has been put before the mind. I extend this blog posting from a comment here as a means to further understand what it is that geometers can do in my mind, as well, point toward the evolution of General Relativity with the aid of the geometer in mind. It was only by Einstein opening up, that such a success was accomplished? See also: Backreaction: This and That. While this picture above may seem complex, imagine the information behind it? If you are going to be secretive or unsure of yourself as a scientist then what happens psychologically to scientists who work in the world so caution? I am not talking about being careful in what you might consider to present but of this stance could do to the mind if it had not wanted to share, but to put prestige ahead of being open to the public. What about it's own perception about failure? Not doing it just right and being perceived as? This is counterproductive to what boldness you might wanted to engender no matter the basis of, that it might seek new ways to bring about change and revolution in our thinking by providing new opportunities for growth. There is something truly honorable in my eyes about "service to humanity" when such an opportunity is set forth to provide information not just to the public, but of the willingness to provide succession of experimental possibility, by creating the opportunity for insight and experimental testing methods of abstract notion toward working out the "probability of outcome" for new science to emerge? A mind map is a diagram used to represent words, ideas, tasks or other items linked to and arranged radially around a central key word or idea. It is used to generate, visualize, structure and classify ideas, and as an aid in study, organization, problem solving, decision making, and writing. 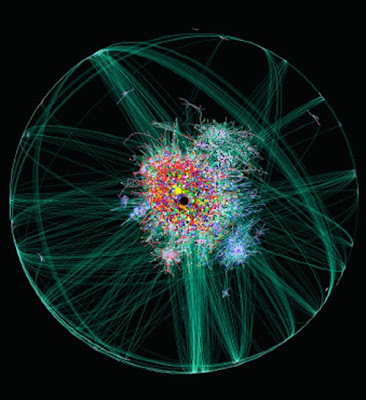 It is an image-centered diagram that represents semantic or other connections between portions of information. By presenting these connections in a radial, non-linear graphical manner, it encourages a brainstorming approach to any given organizational task, eliminating the hurdle of initially establishing an intrinsically appropriate or relevant conceptual framework to work within. 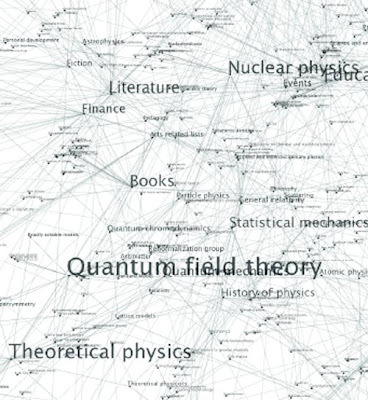 A mind map is similar to a semantic network or cognitive map but there are no formal restrictions on the kinds of links used. Think about this for a moment. You have a vast library of information. This imaginary figure of mind moves into it and along with it, the possibilities of many pathways merging neurologically together. It can only do this of course once the framework had already been establish in mind( a soul in choosing to accept this responsibility), that a position is adopted. It is like fishing. You drop this bait/line into a vast reservoir for some knowledge (soul food) to emerge, as the next step in your own evolution. A becoming, as in the emergence of thought forming apparatus,exposed too, that which was not previously viewed before, yet, had always existed here in that possibility. This type of growth is unprecedented in this way by supplying information toward such service for humanity, is, as if for every life on earth there is this opportunity for it to succeed in what it had chosen to come forward with in mind. To learn this time around. Only by "increasing the probability of outcome" can one achieve in my mind the possibility of any new science to emerge. 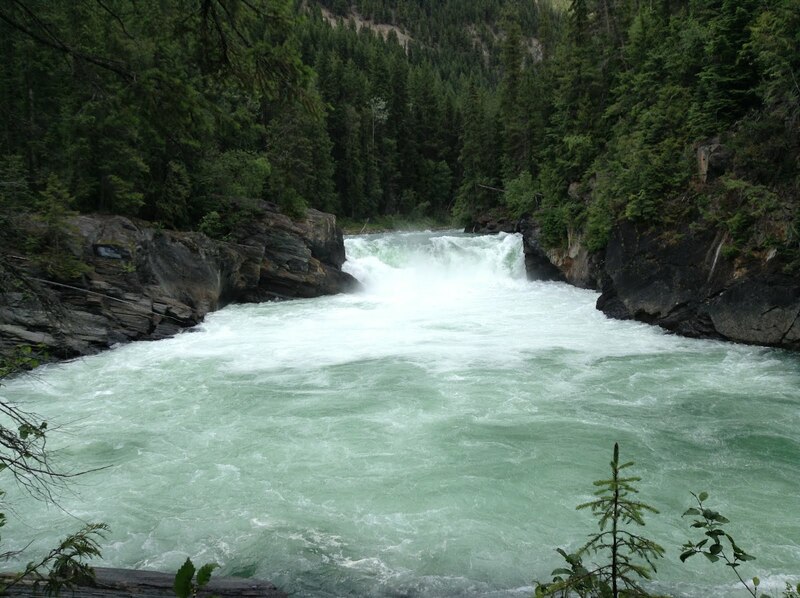 Successful attempts toward growth and meaning to accomplish, what any soul had set out to do. A concept map is a diagram showing the relationships among concepts. They are graphical tools for organizing and representing knowledge. The technique for visualizing these relationships among different concepts is called "Concept mapping". 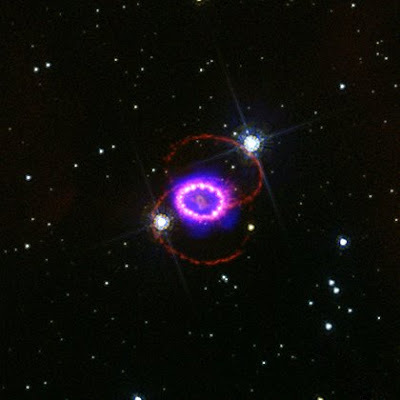 February 24, 2007 marks the 20th anniversary of one of the most spectacular events observed by astronomers in modern times, Supernova 1987A. The destruction of a massive star in the Large Magellanic Cloud, a nearby galaxy, spawned detailed observations by many different telescopes, including NASA's Chandra X-ray Observatory and Hubble Space Telescope. The outburst was visible to the naked eye, and is the brightest known supernova in almost 400 years. Next they independently estimated how the hypothetical neutrinos would be picked up in a detector as massive as Super-Kamiokande in Japan, which contains 50,000 tons of water. 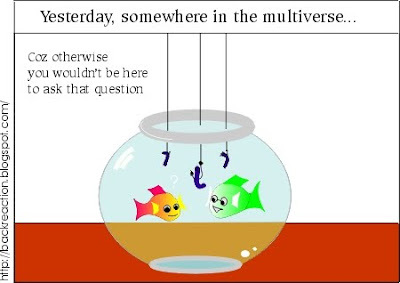 The detector would only see a small fraction of the neutrinos. So the team outlined a method for matching the observed neutrinos to the supernova's expected luminosity curve to figure out the moment in time--to within about 10 milliseconds--when the sputtering star would have begun emitting neutrinos. In their supernova model, the bounce, the time of the first gravitational waves, occurs about 5 milliseconds before neutrino emission. So looking back at their data, gravitational wave hunters should focus on that point in time.